I love Autumn, and I truly enjoy getting my house ready for the season. Today I want to show you how I created some super-easy Autumn Leaf Pillows for my front porch. Some time ago I made some of throw pillows out of drop cloths. I've used these same pillows to decorate my front porch in different seasons: autumn, Christmas, Valentine's Day. The pillows had gotten a little yucky from being outdoors, but running them through the washing machine with a little bleach cured that. Here's the tag. HomeGoods has these in several colors. I chose the dark brown to coordinate with my new front porch. I probably would have spent that much on a large piece of felt. To make my Autumn Leaf pillows, I simply hot-glued the placemats onto my dropcloth pillows. Voila! I may want to add more traditional autumn colors as the season wears on, but for now I'm still enjoying the fresh blues and greens of my porch. I found the large green ceramic pumpkin at TJMaxx; the small brown one is from my collection. I spray-painted my "Welcome" sign to complement the throw pillows. Here's how the porch looks most mornings. It's a favorite place to sit and enjoy a cup of coffee. Wish you could come have a cup with me! One bit of autumn decor down, 99 to go! How are you preparing for Fall at your house? Now that's my kind of pillow!! Anything less than $2 that involves hot glue is a winner in my books! Oh Richella, I love these pillows so much!!! I'm preparing for fall by pulling a bazillian tubs out of the attic and sorting my "good stuff". and today it is 105 degrees!!!! I need for the temps to FALL!! 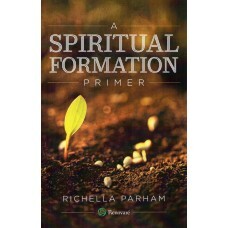 Richella, what a clever idea! That's my kind of craft...cheap and a hot glue gun! The pillows are really pretty! I think your porch is the most inviting outdoor space I have ever seen. Awesome. Love the pillows! My kind of project...nice and easy! These look so festive on your porch! 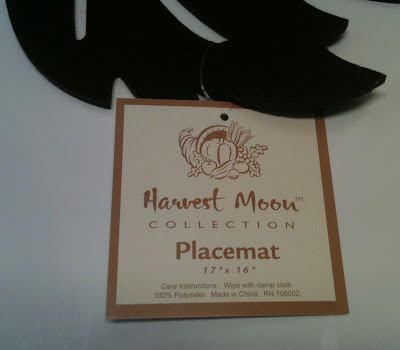 The hot glue should make it easy to pull the felt off, so you can replace it with a placemat for the next season - and next time check out the Dollar Tree - they also carry these felt placemats! I really like how bold these pillows are. When I saw your first picture, I thought, "How did she do that?" I was so surprised to find out you use a placemat. Your porch looks so inviting! I'm slowly easing into fall. I've got my kitchen table looking fallish with a runner and centerpiece and today I'm working on the mantel. I'm going to look for those tomorrow at our local TJ Maxx. That's a great idea and I already have two white inexpensive pillow covers from IKEA. So cute! I love your porch!! okay I love it even more with less work involved! Richella! I absolutely love your porch and those pillows...oh my!! Beautiful! I'm a guest of the Throwback Thursday linky party.. I like so much your pillows!! See you on next Thursday linky party!